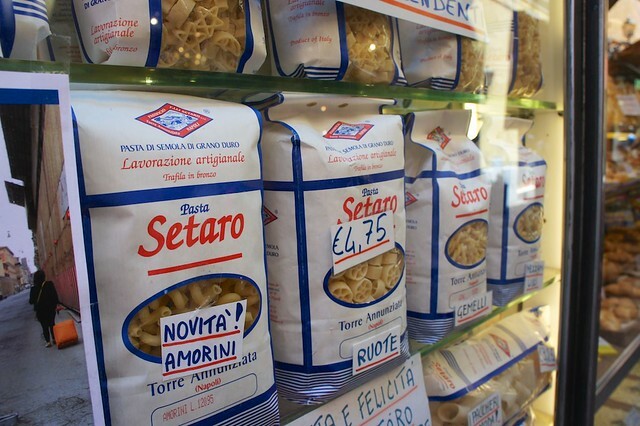 But no matter what your personal iconography may be, there is one symbol of Italy that unites the world: pasta. Sure, there are areas of Italy where polenta is served, and other regions dominated by rice. 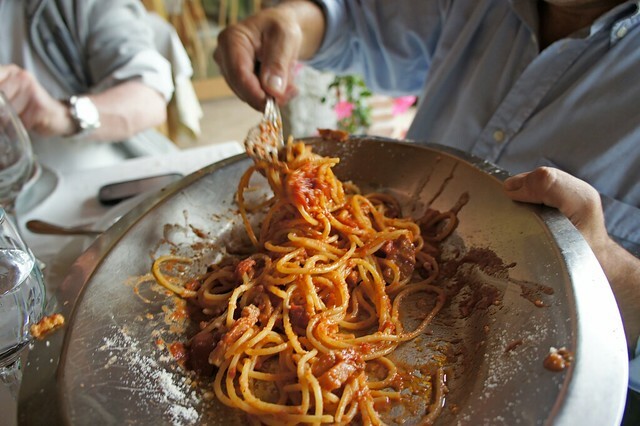 But pasta is the unrivaled foundation of Italian cuisine, and Italy’s cuisine is the foundation of its culture. Rolling fresh sheets of bright yellow pasta so thin you can practically read a newspaper through them is one of the joys of Italian cooking, and one of the most popular mainstays of an Italian meal. Egg pasta (Pasta all’uovo) is made with a simple mixture of fresh eggs (especially the yolks) and flour, so the secret to success is the quality of the ingredients and the skill in working the pasta. Once rolled out in a sfoglia, the pasta can be cut into ribbons--from wide pappardelle (usually served with game ragù), to medium tagliatelle or fettuccine (best with pungent truffles or wild mushrooms), to thin tagliolini (often tossed with seafood)—or used as sheets for a variety of lasagne. 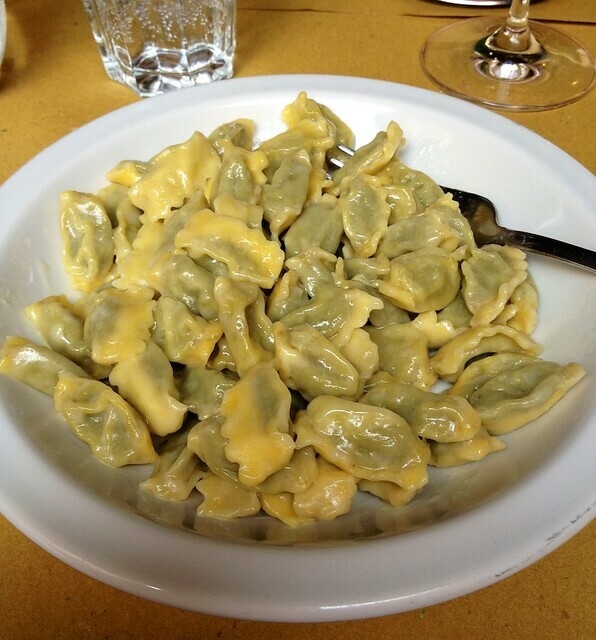 Pasta all’uovo is also the base for filled pasta, from the familiar ravioli and tortellini, to the smaller cappelletti (served in broth), cannelloni (long tubes baked like lasagne), and agnolotti (most common in the north). With the odd scraps of sfoglia, Italian cooks will whip up a batch of maltagliati (literally: badly cut pieces) to toss with a simple sauce or quadrucci (little squares) to boil in a fragrant broth for a soul-warming soup. There are a few types of fresh pasta made without egg, but instead a simple mixture of flour and water (and a pinch of salt), carefully kneaded to the perfect consistency and formed with expert hands to be quickly boiled al dente and tossed with a traditional sauce. Perhaps the most famous of this category are orecchiette, small “ear”-shaped pasta formed with a roll of the thumb by the hundreds around kitchen tables in Puglia and served with sauteed broccoli greens. 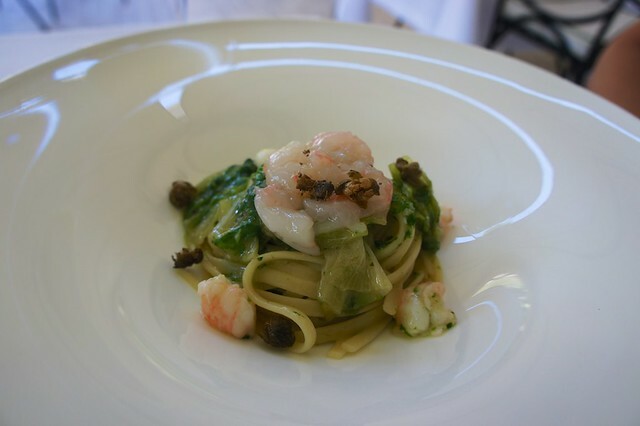 In Liguria, you are most likely to find your pesto tossed with a plate of trofie, another fresh flour and water based pasta, no longer than a couple of inches and loosely corkscrewed. 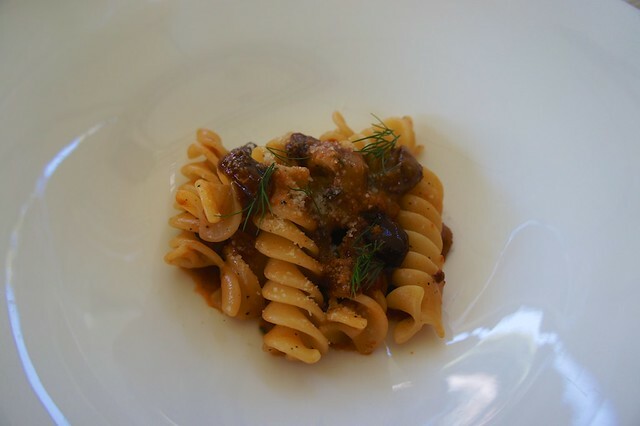 In central Italy, pici (in Tuscany), strangozzi, or strozzapreti (in Umbria and Le Marche) are a rib-sticking long and thick pasta which is traditionally served with the most pungent sauces based on game, truffles, or wild mushrooms. When most people thing of pasta, steaming plates of pasta asciutta come to mind: the dried pasta shapes bought in grocery stores around the world and a mainstay in many kitchens. The most prized pasta asciutta in Italy comes from a number of specific areas (including Gragnano in southern Italy and Abruzzo in the center) where there is a long tradition of using bronze dies, which leave the dried pasta just rough enough to capture slippery sauce, quality durum wheat, and crystalline spring water. That said, most Italian families get by on much less expensive commercial brands (Barilla topping the charts), which use teflon dies and less exclusive ingredients, but still turn out an excellent product. Short pasta is the daily bread (literally) in an Italian kitchen, and a plate of penne al pomodoro is to an Italian child what a peanut butter sandwich is to an American one: the fall-back, basic dish. Short tubular pastas (penne, rigatoni, tortiglioni, and corkscrew-shaped cavatappi) are usually paired with thick or chunky sauces, and ridged versions provide more texture to capture every last drop. Short shaped pasta (butterfly-shaped farfalle, conchiglie shells, twisted fusilli, or kid-pleasing ruote wheels) are perfect for sauces with small pieces of meat, fish, vegetables, or beans, which can be captured up in their twists and folds. 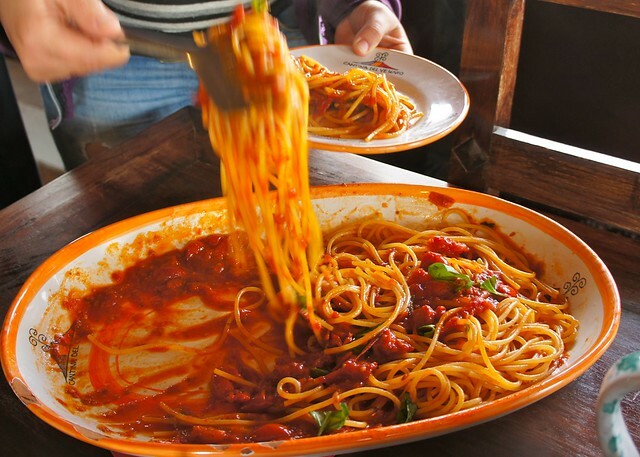 White shirts have been sacrificed at the altar of long pasta with red sauce for centuries (don’t cut your long pasta, but wrap it slowly and carefully around your fork to bring it to your mouth), but there’s a reason we love it so much despite the sartorial trauma. The long, thin shapes of capellini, spaghetti, or linguine are made for rich olive oil or cream-sauce based dressings, or perfectly velvety tomato or vegetable sauces. 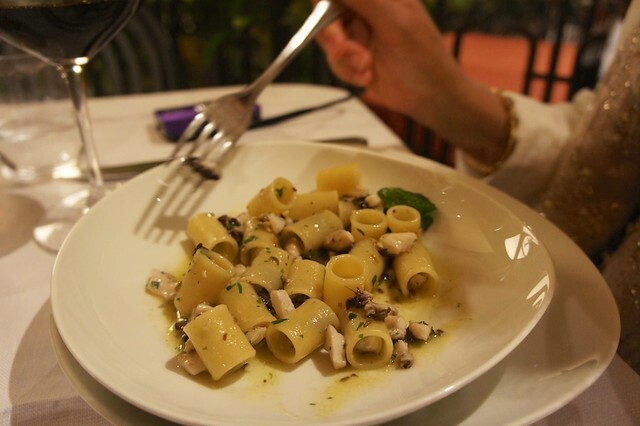 Pasta, just like all of Italy’s cuisine, is regional and certain traditional versions can only be found in a limited area. Spaghetti (tonnarelli) alla chitarra is a long pasta found almost exclusively in Abruzzo (though it pops up at times in neighboring Puglia or Le Marche), made with sheets of fresh egg pasta laid over a chitarra, a wooden frame with a number of parallel wires stretched across. 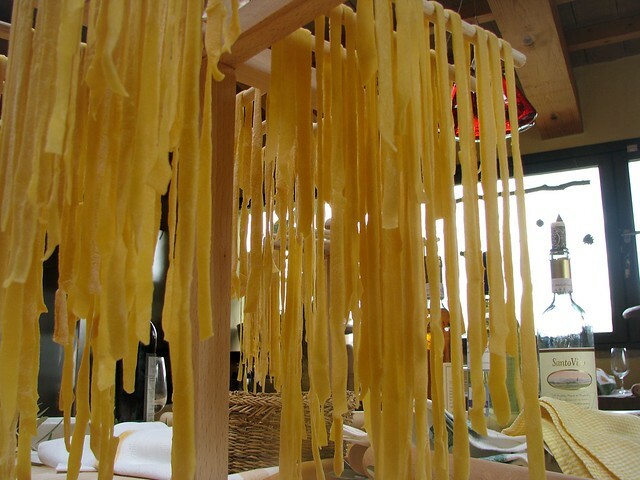 When rolled over the wires with a rolling pin, the pasta is cut into long ribbons which are squared off. 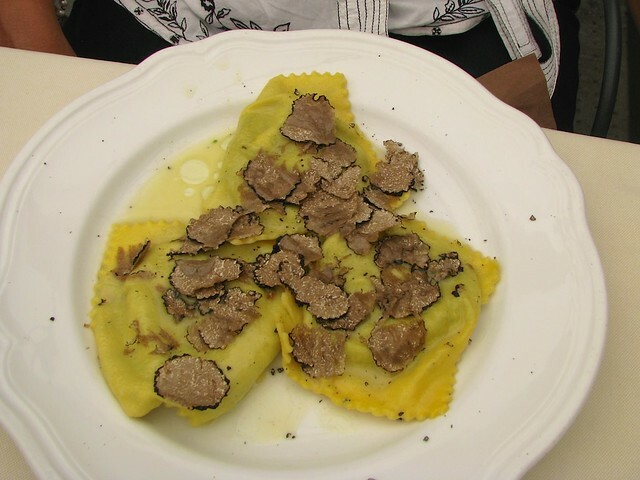 Pizzoccheri are a fresh pasta made with buckwheat flour and rolled into short, flat ribbons. Found almost exclusively in Valtellina in the northern Dolomite mountains, pizzocheri are tossed with potatoes and cooked greens, and dressed with garlic, sage, and butter for a rich, warming dish. 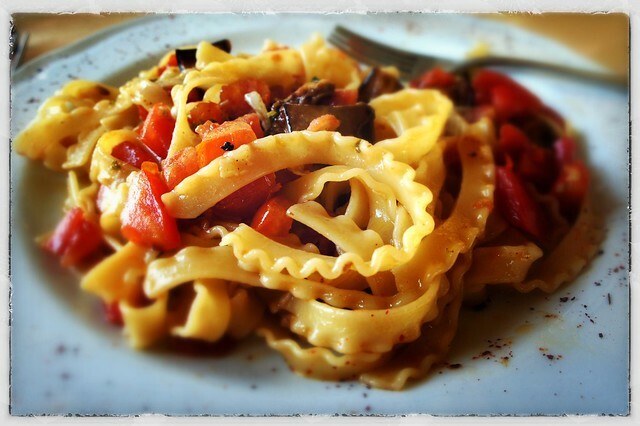 Bucatini are a long, dry pasta similar to spaghetti but hollow down the middle. 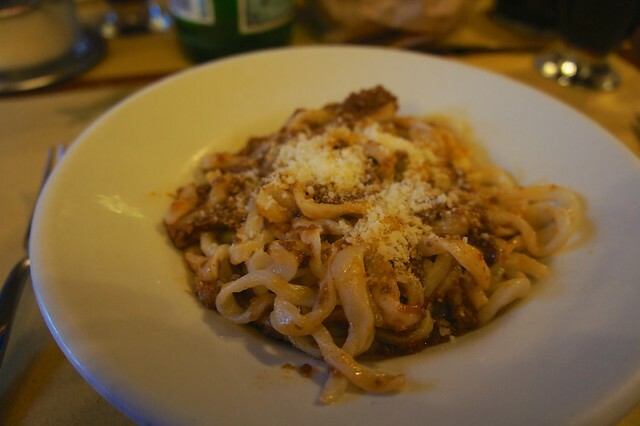 This humble pasta forms the base for one of Rome’s most traditional dishes: Pasta all’Amatriciana (or Pasta alla Gricia, if made without tomatoes).